We were approached by Ocean Pacific Marine regarding a client wanting to do a refit of his yacht. The refit included re-configuring the aft deck as well as adding an upper pilot house. Since no accurate drawings were available, Surface & Edge 3D laser scanned the hull, deck and existing bridge. Using the laser scan data, an as-built 3D model was created by our partners at 3D Reverse Engineering. 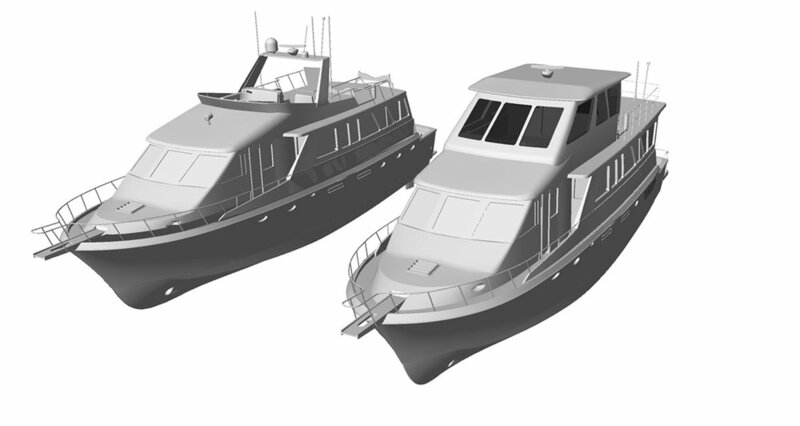 Using the as-built 3D model as the base, the Naval Architects at Polar Design Sales created a new design model and performed stability analysis. From the new design model, cut files were created for automated prefabrication work. This facilitated quick assembly in the shipyard and significant cost savings.